The Centre for Innovation on Campus Mental Health (CICMH) is a partnership project involving Colleges Ontario, the Council of Ontario Universities, the Ontario Undergraduate Student Alliance, the College Student Alliance and the Canadian Mental Health Association, Ontario Division. Our mission is to help Ontario’s colleges and universities enhance capacity to support student mental health and well-being. 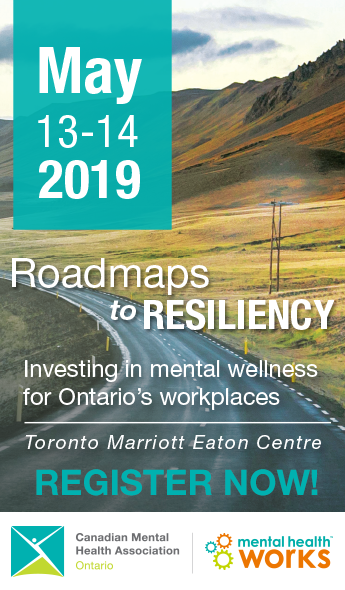 CICMH has created a campus mental health community of practice which connects a broad cross-section of stakeholders in Ontario, including student services, counselling, accessibility, health, faculty, administration, student leaders and community partners. Members of the community of practice learn from each other, collaborate, share knowledge and experiences, best and promising practices; and jointly problem-solve to address gaps in the field. An online portal helps support this community practice by providing members with a virtual space to continue their sharing, learning and collaboration. To help enhance campus service providers’ capacity to meet the needs of students with complex mental health and addiction concerns, CICMH is identifying models and networks that would facilitate access to community-based expertise and professional development. CICMH is working with campus mental health stakeholders to identify innovative ideas and approaches that address gaps and enhance practice in student mental health services and programs (i.e., prevention, promotion and treatment). CICMH will help support and leverage promising programs and services that could have a system-wide impact.